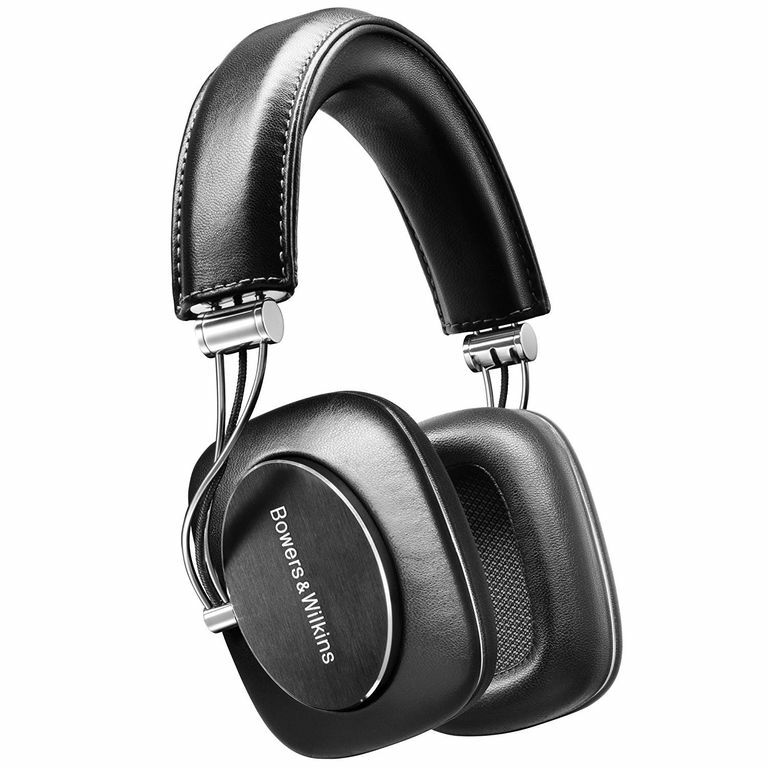 B&W – Bowers & Wilkins, if you prefer – has for decades been one of the world's most respected audio companies. Audiophiles and recording engineers love B&W's iconic 800-series speakers with yellow Kevlar drivers. Although the company had eventually shifted focus towards relatively inexpensive, iPhone-era products like headphones and wireless speakers, it's reputation has remained intact. That's part of the reason why the introduction of the company's first over-ear headphone – the P7 – received so much attention when it was announced. That said, it's not hard to find devout consumers who roll over like affection-starved collies whenever a B&W product comes around. Although we've liked most B&W products we've tested, the company has had a few missteps. So in today's hyper-competitive headphone market, can an old-school name like B&W compete with the branding of Beats or Skullcandy or the sound quality of PSB or Master & Dynamic? Although the P7 is rather large and might be best-suited for home use, it's not much more than some big travel headphones, like PSB's M4U 2. To get an idea of the P7's comfort and travel-worthiness, we took it out for a round trip on L.A.'s Orange Line bus after first giving the headphone a few hours of break-in with music. It's a fairly large headphone, but the earpieces fold in, making it easy to slip the P7 into a messenger bag or sling sized for tablets and accessories. B&W also supplies a half-moon-shaped leather carrying case for the headphones; it's a little thick to fit in most laptop bags but perfectly fine for a small suitcase or carryon. Those with large earlobes may know the feeling of having them mashed by headphone earpads. The B&W P7 performs well for above-average headphone comfort, only slightly mashing lobes towards the end of a two-hour bus ride. Aside from that, the P7 remains comfortably on the head without much need for adjustment. Some, however, might find some difficulty in having the earpads maintain a good seal against the face – the headband may not have enough spring in it for those with smaller sized heads. We were extra impressed by the P7 headphones' sound isolation. We could barely hear outside sounds or most of the noises generated by the Orange Line bus. When playing the quiet, acoustic opening of the live version of James Taylor's "Shower the People" from Live at the Beacon Theatre, the whine of the bus's tires and engine didn't drown out the details in Taylor's guitar. We also found that we didn't have to turn the P7 up as loud as with most headphones. For testing purposes, we used an Apple iPod Touch, a Samsung Galaxy S III smartphone, and a HiFiMan HM-601 portable media player, loaded with all of our favorite test tracks and then some. From the first few notes of K-Pop band Big Bang's "Haru Haru," we knew we were going to like the P7 headphones. The big, reverberant mix of this tune practically explodes out of the P7. The sound is huge, yet the placement of the instruments and the voices within the stereo soundstage are exceptionally precise – a sound similar to what we've heard when sitting at a mixing board in a recording studio with professional studio monitor speakers placed just a couple of feet to each side of our heads. The dense mix of overdubbed voices sounds unbelievably clear; we can hear more "into" the mix than have ever heard before. Looking through the shaky notes made on the Orange Line trip, the word "detail" appeared over and over. Don't get frightened off, though. Often, with great detail comes great brightness and, eventually, great listening fatigue. But this isn't the case with the P7 headphones. It definitely has some treble emphasis – some high-pitched instruments (like cymbals) sometimes sound a tad sizzly, and Robert Plant's voice on Led Zeppelin's "Dancing Days" sounds a little bit lispy – but somehow the P7 neither comes across as terribly bright nor fatiguing to the ears. The level of detail is fantastic in the treble but also in the midrange. We noticed this early, particularly on recordings showcasing acoustic piano, such as Steely Dan's "Aja" and the live version of jazz saxophonist Charles Lloyd's "Sweet Georgia Bright" (from Rabo de Nube). On both of these tunes, the piano sounds unusually clear – especially on "Sweet Georgia Bright," where it stretches luxuriously across the entire stereo soundstage. To some trained ears, this same character may be perceived as "a little mid-heavy" yet still earn deserved praise overall. A satisfying tonal balance and good low-bass definition are certainly the P7 headphones' strongest points. What's not to like about the P7? That depends on what one prefers. It sounds to us like the bass has a resonant peak around 50 Hz or so. This gives it an extra-punchy sound, but not much definition in the mid-bass. So the powerful bottom-end in "Haru Haru" sounds awesome through the P7, but the fine details of the acoustic bass in "Sweet Georgia Bright" end up lost, and even some of the groove in The Cult's "Wild Flower" fails to come through. So if you like your bass flat and accurately rendered, you might have a greater appreciation for the PSB M4U 1 headphones. If you like your bass punchy and exciting – but never overbearing – the P7 is certainly one to please. Incidentally, if there is a decision to be made between the over-ear P7 and on-ear P5 headphone models, we recommend spending the extra money for the P7. The overall sound is far fuller and better balanced than the somewhat trebly P5. Plus, the P7 is a billion, zillion times more comfortable by comparison. The Bowers & Wilkins B&W P7 over-ear headphones easily rank among favorite passive headphones in its price class, right up there with the PSB M4U 1 and Sennheiser Momentum. Which might one prefer? It's hard to say. If you demand the flattest, most neutral sound, we'd suggest the PSB. If you want a little more bass (and to save a few bucks, too), get the Sennheiser Momentum. However, if you crave more dynamic, detailed, and exciting sound, the B&W P7 are a top choice. While the P7 headphones are a more expensive option, we strongly prefer its comfort, form factor, and styling to any of the other headphones mentioned. But when you have so many good products in a specific category, it all boils down to personal preference. And for those who appreciate wireless freedom, Bowers & Wilkins has a Bluetooth wireless version of the P7 over-ear headphones.